A debate over the arrest of a New York police officer for the killing of a mentally ill suspect is about to erupt into a national controversy, with San Jose police right in the mix. The NYPD officer faces a second-degree murder charge for fatally shooting a mentally ill woman wielding a bat. On Thursday, the New York police officers union says it will call for federal legislation to fund a national training program to teach officers how to better deal with the mentally ill.
And the president of the San Jose Police Officers Association, Paul Kelly, will be front and center at that announcement. Kelly said the SJPD union is getting involved because the officer arrest hit home. In 2014, San Jose officers responded to a man with a history of mental illness threatening fellow residents at an apartment complex. The man threw knives at officers then retreated into his unit after being hit with rubber bullets. 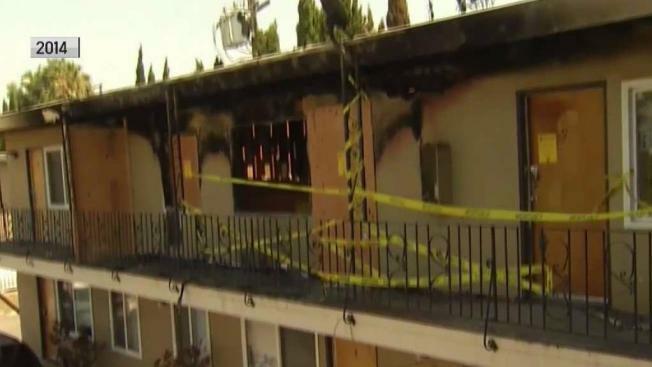 Officers decided not to arrest him, then hours later the man started a fire at the complex. In another incident a month later, San Jose cops shot and killed a woman who charged at them with what appeared to be a gun. It turned out to be a painted drill. "These officers do not want to go to these scenes and have to use deadly force," Kelly said. New York police union officials are calling for the training because they say the New York officer, Sgt. Hugh Barry, followed standard protocol. Kelly said that could easily happen to San Jose officers. "If you look at what has happened in San Jose with our officer-involved shootings, we have six, if not more, that we had to deal with the mentally ill," Kelly said. "It hits home big time." A controversial part of the proposed legislation calls for releasing more private medical information about a possible suspect as police are responding to a scene. Some police watchdog groups are wary. "The problem is we’re still relying on them to be our mental health providers," said Shaunn Cartwright, member of Rise Up For Justice. "And they’re not mental health providers. They’re crisis responders." Kelly had a different take. "Law enforcement across the nation handles a lot of confidential information on a lot of different levels," he said. "I think we should be trusted to handle that professionally, as well as keep it in confidence." The San Jose police union won’t be the only Bay Area agency represented. The San Francisco POA and a dozen other law enforcement agencies also will join the New York police union for the announcement Thursday.